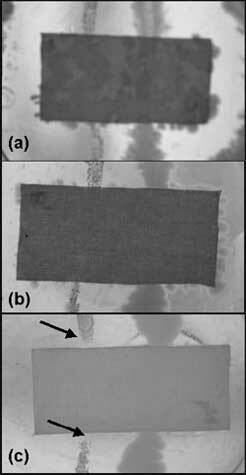 (Nanowerk Spotlight) With the advent of nanoscience and technology, a new area has developed in the area of textile finishing called "Nanofinishing". Growing awareness of health and hygiene has increased the demand for bioactive or antimicrobial and UV-protecting textiles. Coating the surface of textiles and clothing with nanoparticles is an approach to the production of highly active surfaces to have UV blocking, antimicrobial, flame retardant, water repellant and self-cleaning properties. While antimicrobial properties are exerted by nano-silver, UV blocking, self-cleaning and flame-retardant properties are imparted by nano-metal oxide coatings. Zinc oxide (ZnO) nanoparticles embedded in polymer matrices like soluble starch are a good example of functional nanostructures with potential for applications such as UV-protection ability in textiles and sunscreens, and antibacterial finishes in medical textiles and inner wears. The UV-blocking property of a fabric is enhanced when a dye, pigment, delustrant, or ultraviolet absorber finish is present that absorbs ultraviolet radiation and blocks its transmission through a fabric to the skin. Metal oxides like ZnO as UV-blocker are more stable when compared to organic UV-blocking agents. Hence, nano ZnO will really enhance the UV-blocking property due to their increase surface area and intense absorption in the UV region. For antibacterial finishing, ZnO nanoparticles scores over nano-silver in cost-effectiveness, whiteness, and UV-blocking property. Our research paper titled "Functional finishing of cotton fabrics using zinc oxide – soluble starch nanocomposites" published recently in the September 22, 2006 online edition of Nanotechnology, emphasis the advantages of nano-ZnO for functional finishing in cotton fabrics. We have successfully dispersed ZnO nanoparticles inside a soluble starch matrix using a simple water-based technique. The use of water as a solvent in synthesis of ZnO nanoparticles causes an immediate agglomeration due to high polarity of water. To overcome this problem, soluble starch was added before the reaction starts. Earlier, we have reported the formation and stabilization of silver nanoparticles inside the helical matrix of soluble starch ("A novel one-pot ‘green’ synthesis of stable silver nanoparticles using soluble starch"). The soluble starch in its helical form is quick to protect the formed ZnO nanoparticles and prevent the agglomeration by the action of steric hindrance. The average size of the ZnO nanoparticles is estimated to be 38 ± 3 nm using TEM. We have also shown that these nano-ZnO impregnated onto cotton textiles showed excellent antibacterial activity against two representative bacteria, Staphylococcus aureus and Klebsiella pneumoniae and promising protection against UV radiation. 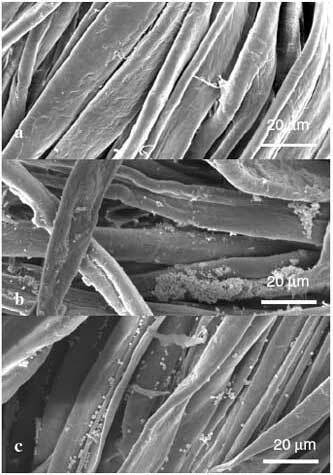 This work provides a novel and simple method for aqueous preparation of ZnO – soluble starch nanocomposites and their application onto cotton fabrics to impart antibacterial and UV-protection functions. In case of wearable cotton textiles, use of 0.6% nano-ZnO for coating can be sufficient to impart antimicrobial property. But in case of medical textiles where a high degree of antimicrobial activity is required, use of 1.0% nano-ZnO can be recommended. The field of Nanofinishing in textile technology is very promising due to various end uses like protective textiles for soldiers, medical textiles and smart textiles. With the advancements in synthesis and characterization of various types of nanomaterials, standardization of application protocol is a must to impart functional finishing to textile materials. Our Institute, the nanotechnology research group, is working towards the development of simple protocol for synthesis of stable nanomaterials and impregnation of the same onto cotton fabrics to impart novel functions. Dr. N. Vigneshwaran is a scientist at the Nanotechnology Research Group of the Central Institute for Research on Cotton Technology in Mumbai, India. He can be reached by telephone (+91-22-24127273) or email ([email protected]).